I dragged out a retired Stampin’ Up! set for the baubles called Merry & Type. Once I heat embossed them with Silver embossing powder I gave them a bit of colour with my blendabilities. I’ve used some retired brushed silver cardstock for the card base and I’ve teamed this with some DSP from All is Calm. 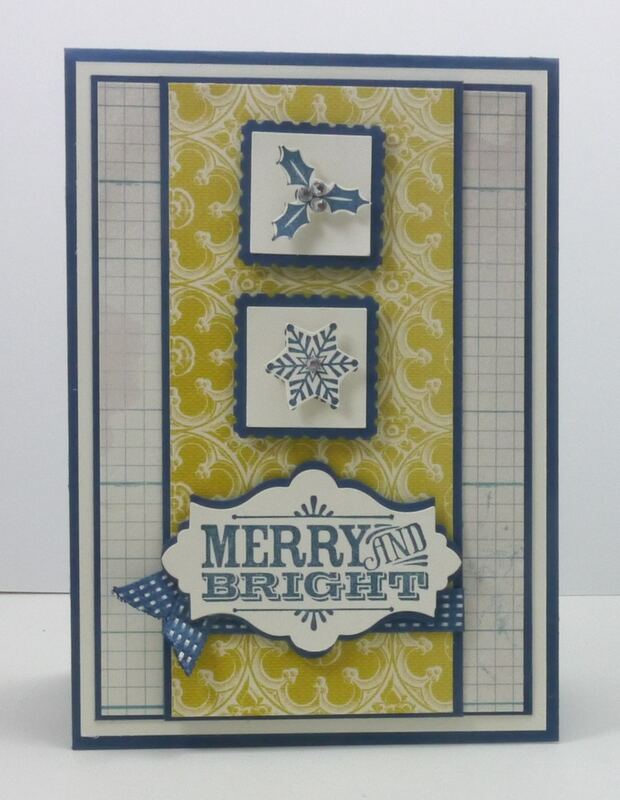 I’ve gone with non-traditional papers for my card today and used some papers from Stampin’ Up!s Etcetera DSP. 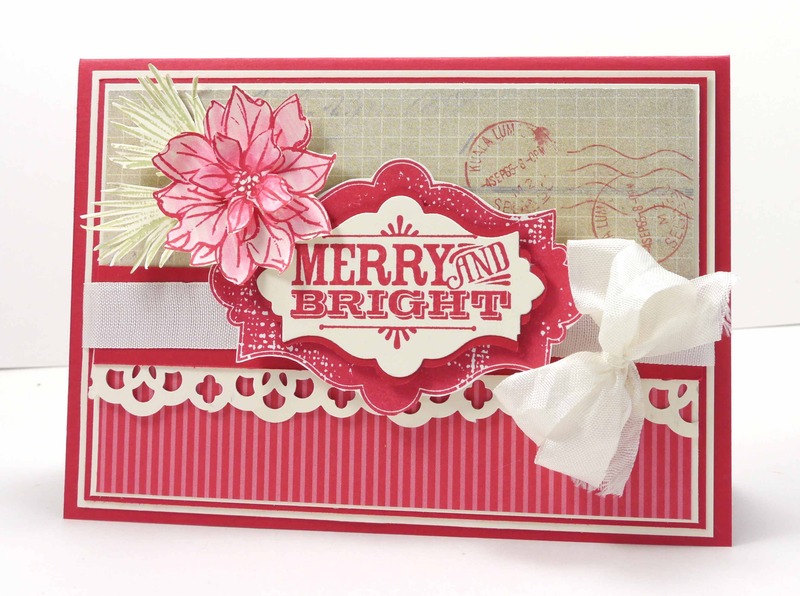 I’ve teamed them with Midnight Muse cardstock and used retired Stampin’ Up! stamp sets called Jolly Bingo Bits and Merry and Type. 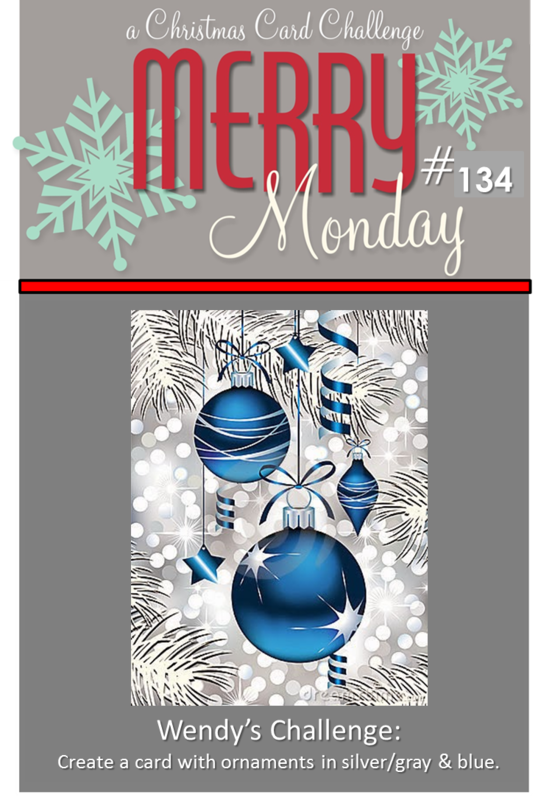 We’d love for you to join us in this weeks Christmas card challenge, so head over to Lesley’s blog and join in the Christmas card fun. I’ve gone diagonal from the first tile, so that gives me – Blue, Colour with Markers and Ribbon. 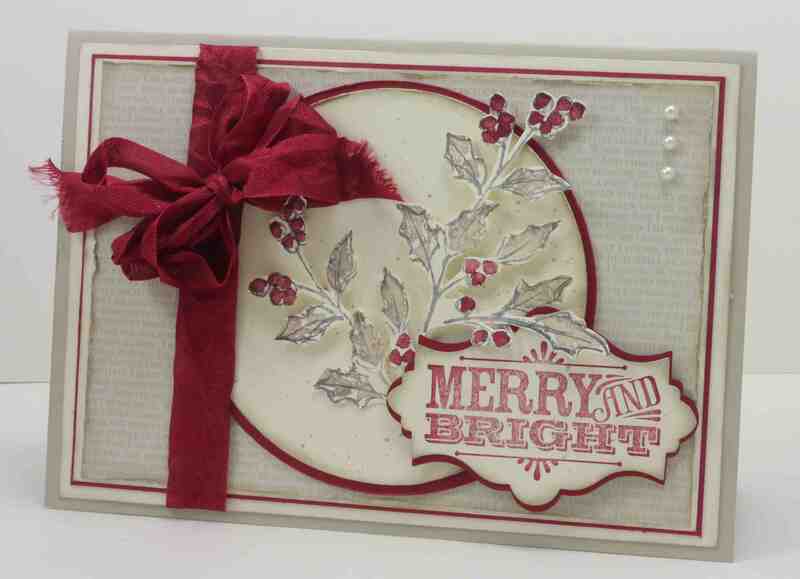 I used the baubles from Merry & Type and coloured them in with my Baja Breeze and Midnight Muse Markers. 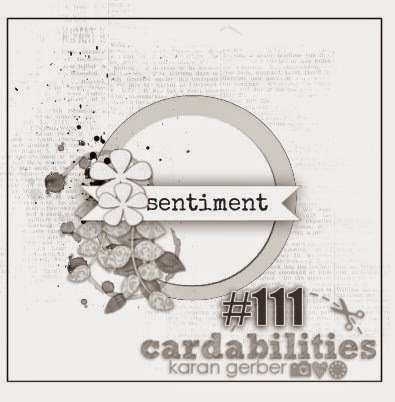 The designer series paper I’ve used on the base of my card is a retired Stampin’ Up! one called Ski Slope. 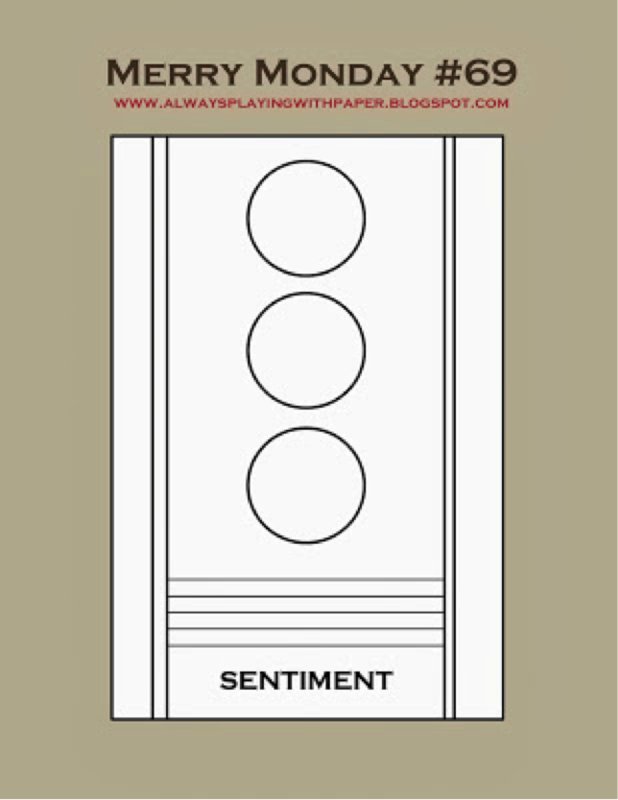 I’ve combined this with some current Midnight Muse designer series paper. For the background on my main panel I stamped the log words from Open Sea in Baja Breeze for a different look. 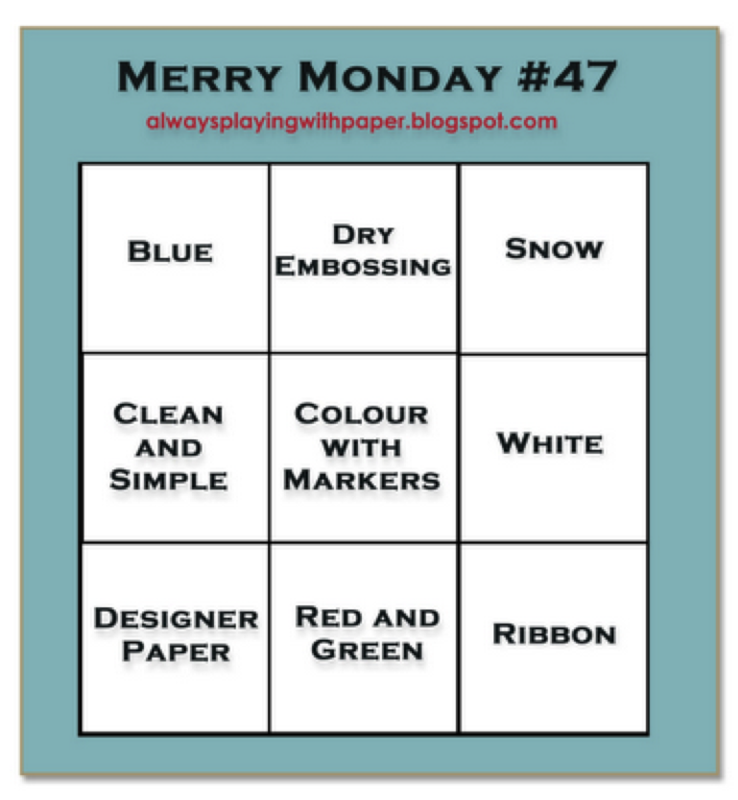 I’m also entering my card into this weeks Stampin’ Royalty Challenge where their challenge is to use Polka Dots. You’ve gotta love Polka Dots! I think they work perfectly for a Christmas card. We’d love for you to join us so head over to Lesley’s blog and join in the fun. While you’re there, check out the gorgeous inspiration from the Merry Makers or click on their names below. It’s Thursday so that means a new challenge at Create with Connie & Mary. 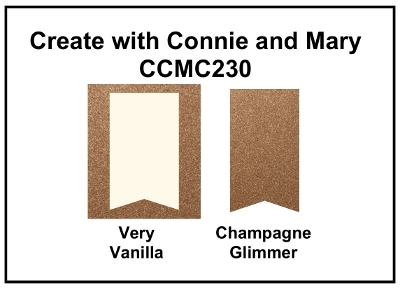 This weeks challenge is to create a project using Champagne Glimmer Paper and Very Vanilla. 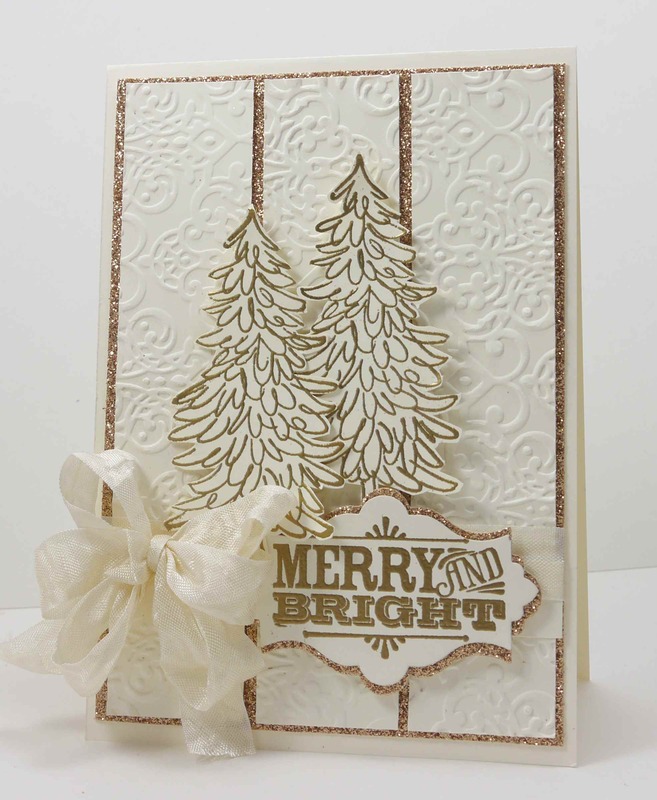 This was my first time using Champagne Glimmer Paper (in fact I purchased it just for this challenge!). 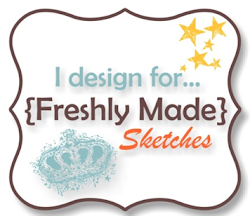 We’d love for you to join us this week at Create with Connie & Mary – head over to the challenge and check out what the design team have created this week! 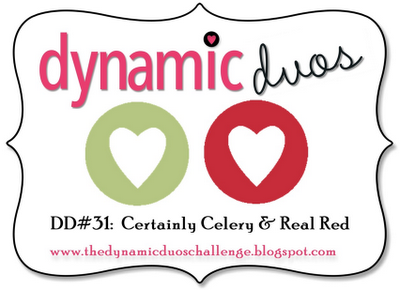 The Design Team over at Dynamic Duos have given us the challenge this week of using Certainly Celery and Real Red on our cards. I don’t know how it happened but my card started out with poppies on it and somehow it turned into a Christmas card. As we’re allowed to use a neutral colour with the challenge colours, I’ve used my favourite designer series paper – Fan Fair DSP – I can’t stop using it! I’ve combined challenges for my card and have used the layout from this weeks Mojo Monday challenge. I’ve had such a wonderful day – my mum came over and played in my craft room with me all day! My mum lives just over an hour away from me so we don’t often get the whole day to just do whatever we want, with no interruptions – thanks mummy for a fabulous day! 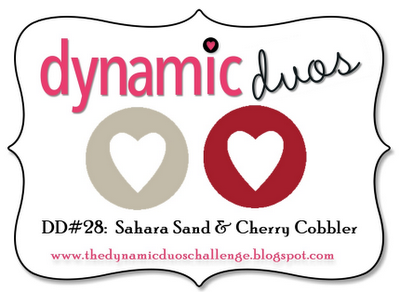 One of the cards I made today is for the gorgeous colour challenge over at Dynamic Duos this week. 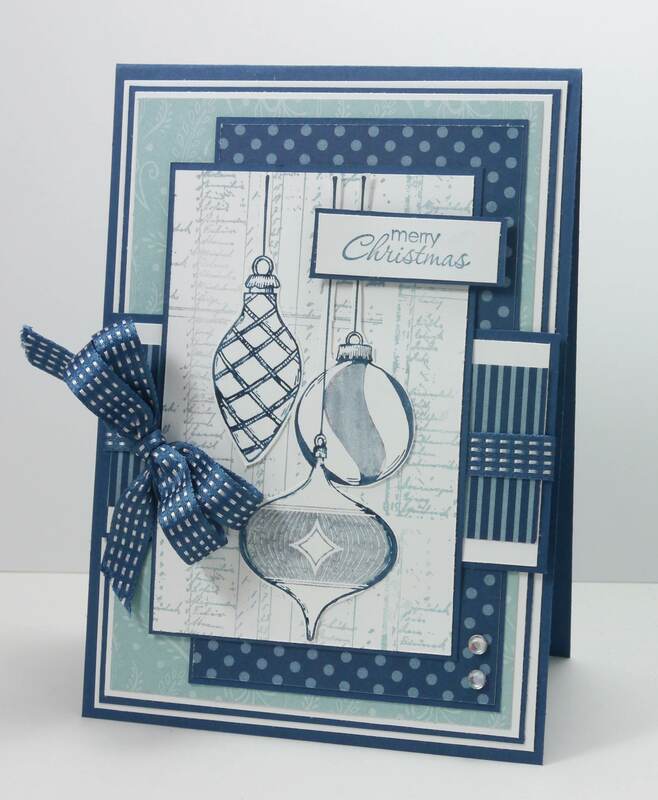 I’ve also combined the colour challenge with this fabulous sketch over at Inspired by Stamping Inspiration Challenge. I’m back! Did you miss me? 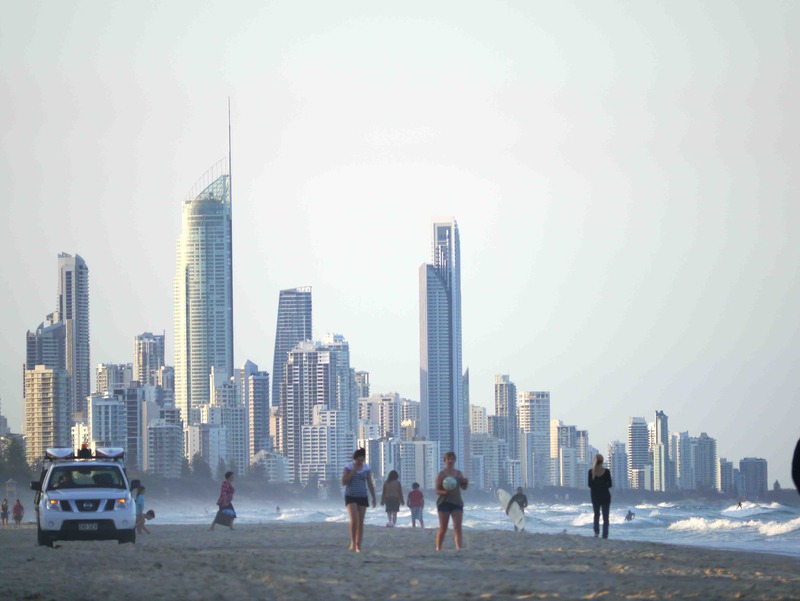 I’ve been on an almost 2 week holiday to one of my favourite places in Australia – Surfers Paradise. 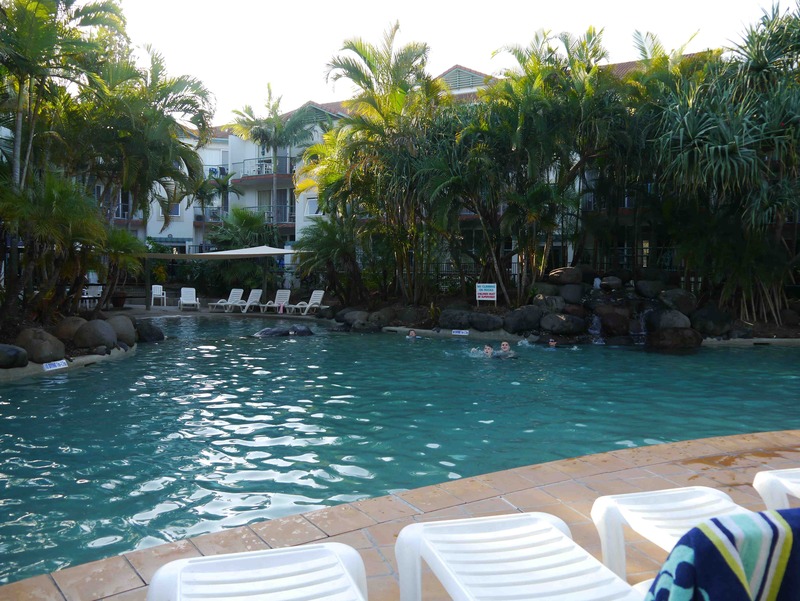 For those who don’t know Australia, Surfers Paradise is a wonderful holiday destination that has beautiful weather (most of the time), gorgeous beaches and theme parks. I jokingly told a friend recently that the only reason I had kids was so I could justify still going on rides at theme parks! That’s not the only reason I had them, I’m sure it was so they could complain to me about the road trip we took to get there – 2 days there and 2 days back! As wonderful as the holiday was, it’s nice to be home and back into my craft room. Anyway, enough about me and now on to my card. 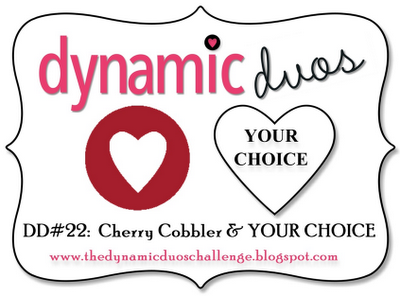 I made this card for the colour challenge at Dynamic Duos where their challenge this week is to create a project using Cherry Cobbler and one other colour of my choice. I’m also allowed to a neutral colour, so I’ve used Crumb Cake for this. I couldn’t find a Cherry Cobbler DSP that I wanted for my background so I’ve used this yummy Raspberry Ripple DSP, so I guess my colour of choice is Raspberry Ripple. 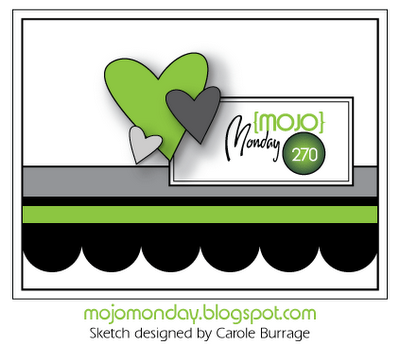 I’ve also combined the Dynamic Duos colour challenge with this awesome sketch from Mojo Monday. 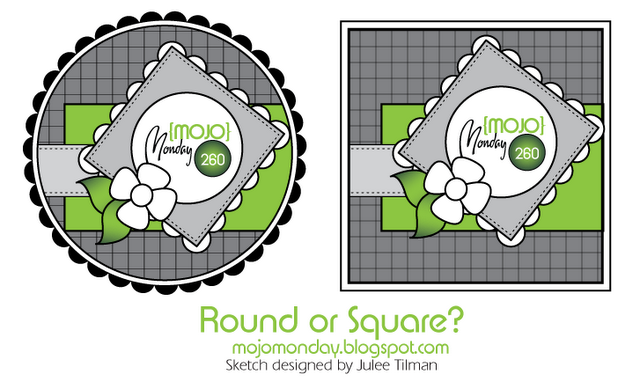 I’ve gone with the square sketch this week. Before I go, here’s a photo of the beach outside our resort looking back to Surfers Paradise.